Youtube, the world’s largest video-sharing website, is finally unblocked in Pakistan after about 4 years of ban. In 2012, the Lahore High Court had issued the ban orders upon Youtube’s failure to remove controversial movie “Innocence of Muslims”. After court decision, PTA issued a notice to all ISPs across Pakistan to ban the website nationwide. 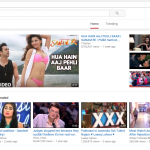 Earlier this week, Youtube also launched a localized version of the website for Pakistani users but opening Youtube is a far bigger move. Pakistan Telecommunication Authority (PTA) had asked Supreme Court of Pakistan to take notice of the ban saying “there is no reason to ban the website”. PTA has issued a notice to all Internet Service Providers (ISPs) to lift the ban immediately. They have blocked the unwanted content which was the main point of contention and it has been solved. We acted as a messenger in this case. You do realise the sensitivity of the matter. So we did what government told us to do. In 2012, the petition was been filed by Qazi Hussain Ahmed of Jamaat-e-Islami (JI) and another JI leader Muhammad Hussain Mehnti after Google failed to remove a low-budget movie with objectionable content that was published on Youtube. The movie sparked anger among many Muslim nations including Pakistan. In 2013, two petitions were filed challenging the ban on YouTube: one before the Peshawar High Court and another before the Lahore High Court (LHC). A third petition was filed in 2014 before the Sindh High Court, challenging censorship on the internet while also bringing into question the YouTube ban. Of these, proceedings before Justice Mansoor Ali Shah in the LHC were the most extensive. Despite the ban, users across Pakistan used proxy tools to bypass the ban implemented by local ISPs. Unblocking Youtube is being welcomed by both entertainment seekers and students/professionals who browse the website for educational purposes. How do you take the decision of Supreme Court of Pakistan to unblock Youtube? Let us know through comments.